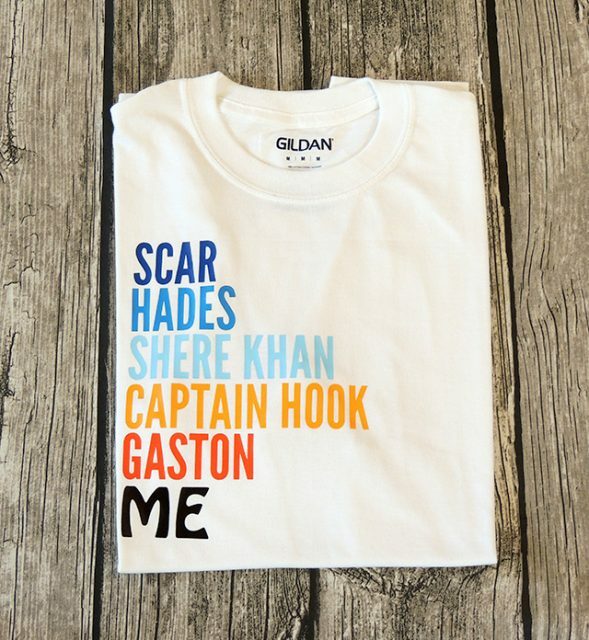 This shirt lists some of Disneys most famous villains. Fonts are League Gothic and Hobo Std Medium. 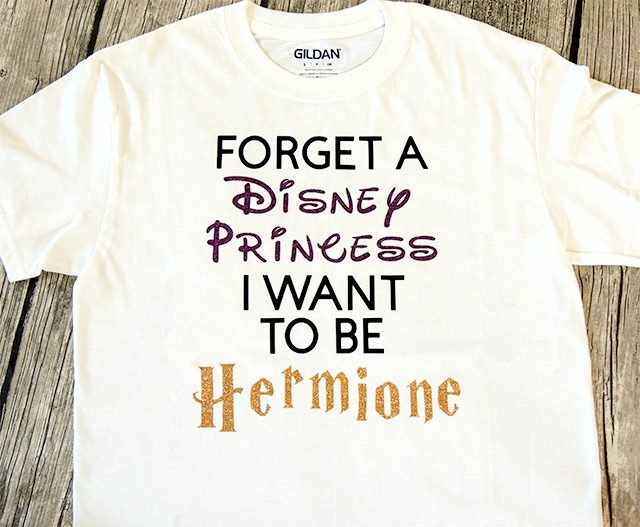 For the girl who’d rather be Hermione than a Disney Princess, you can make this shirt with Gold Glitter, Purple Glitter and black. 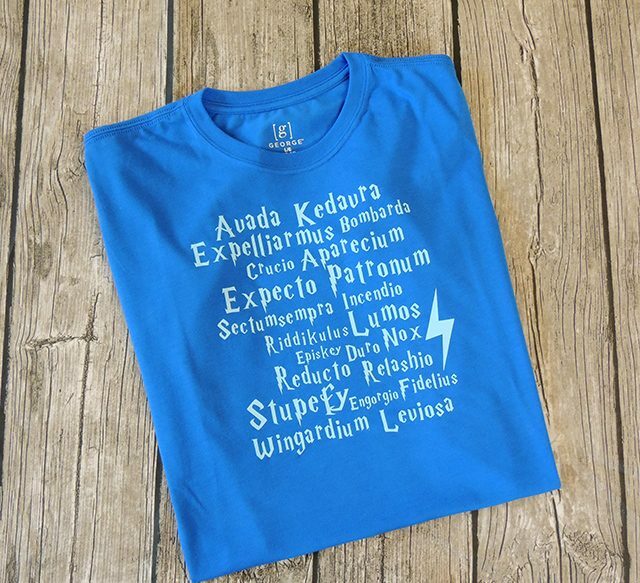 Fonts are Cricut Sans, Walter, and Harry P.
Any Harry Potter fan will love this shirt with nearly 20 charms, curses and spells on it. Font is Harry P. I especially loved how the light blue iron-on shows up on the darker blue shirt. 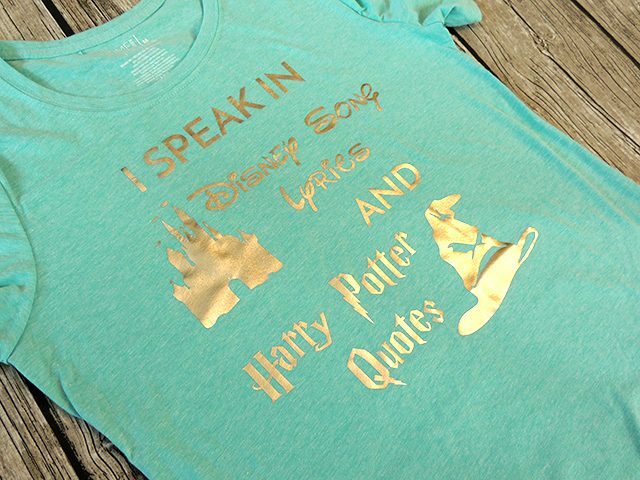 Know someone who loves quoting Harry Potter and bursting out in Disney songs? 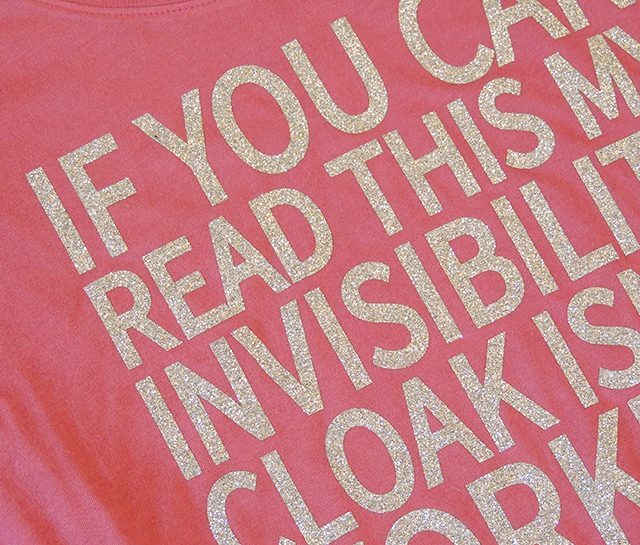 This shirt has silver foil iron on, and again includes the fonts: Cricut Sans, Walter and Harry P.
The silver glitter vinyl almost shimmers like an invisibility cloak. But here’s how you can tell if it’s not working. And how about a close up to get a better look at the glitter. It’s almost like a game of Harry Potter I-Spy. 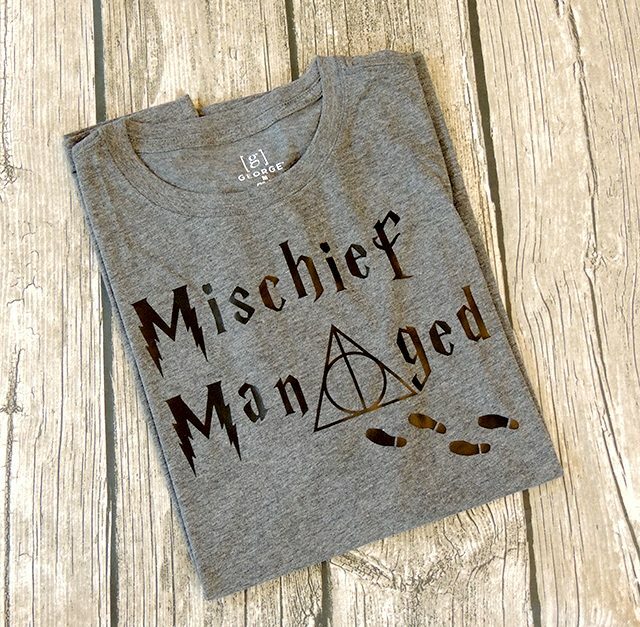 This shirt has a lightning bolt, golden snitch, Platform 9 3/4, Deathly Hallows, Harry’s glasses – and, did you find the Elder Wand? 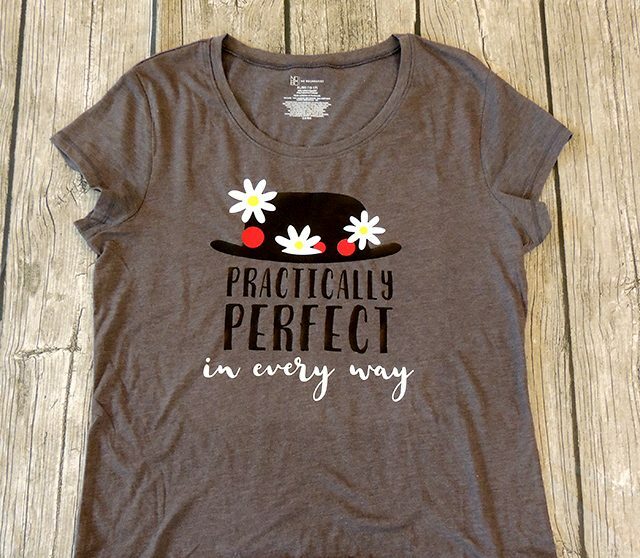 Using a simple hat shape, some daisies, and red and yellow circles, you too can have a Mary Poppins Hat shirt. In fact, here’s the Cricut Design Space file for it. 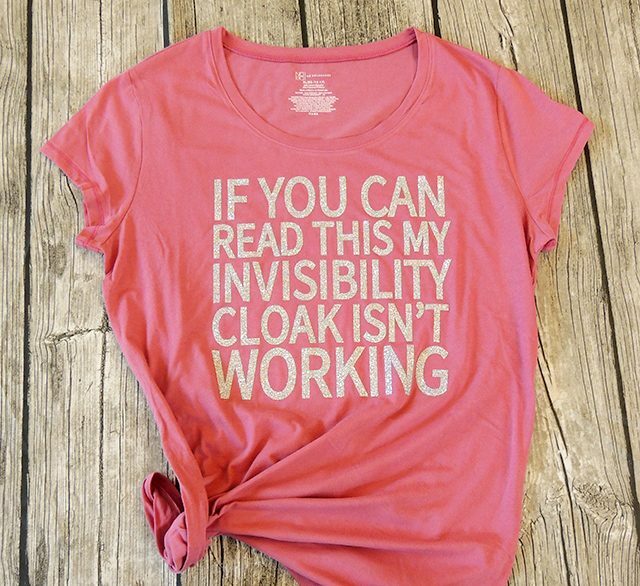 You’ll need to add the words underneath. Fonts are Breathe and Faither Modern Brush. 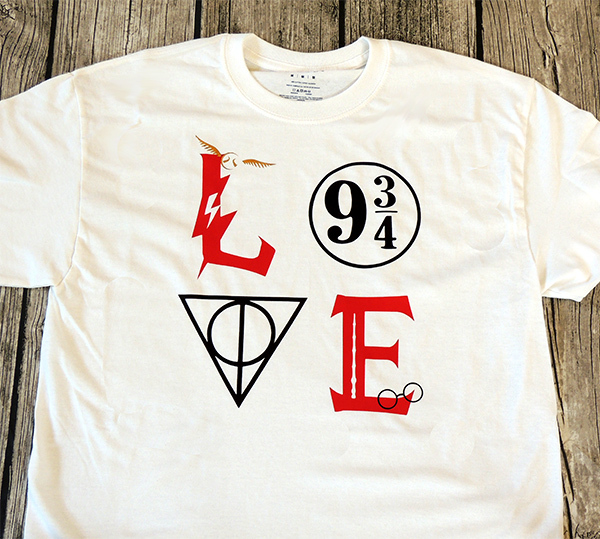 These next two Harry Potter shirts are pretty self-explanatory. 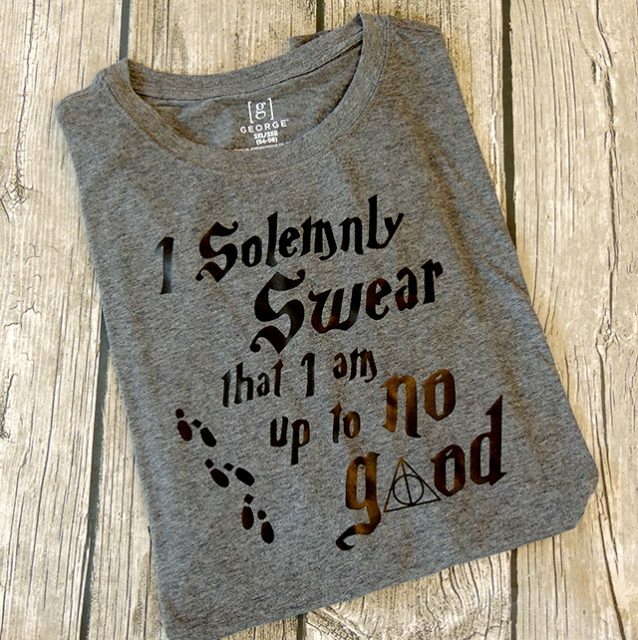 Thanks to the Marauder’s Map, we know the importance of these two phrases. 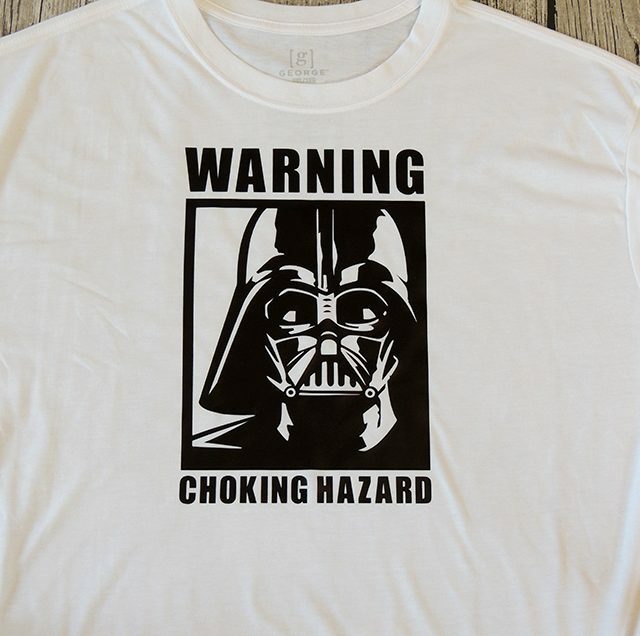 “I find your lack of faith disturbing.” But at least Darth Vader comes with a warning label! Get the Design Space project here. 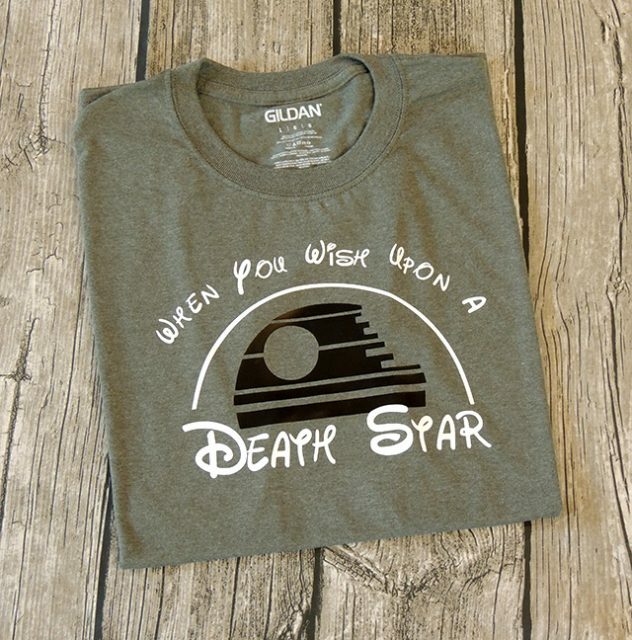 When Disney acquired Lucasfilm, the mashup possibilities for Disney shirts exploded, kind of like the Death Star. 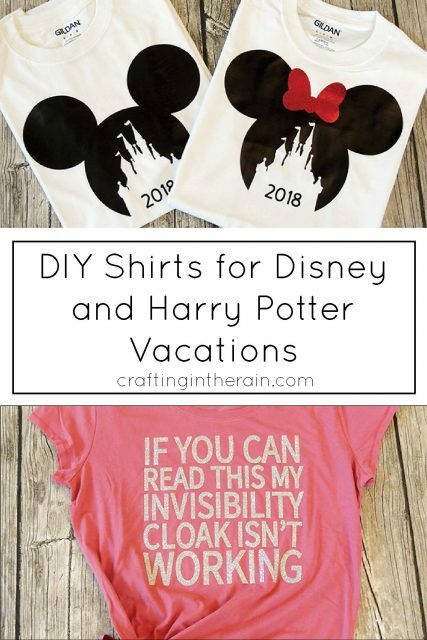 So if you need Disney shirts for your next Disney or Universal Studios vacation, I hope this gave you some good ideas! Want to save some money planning your next Disneyland trip? 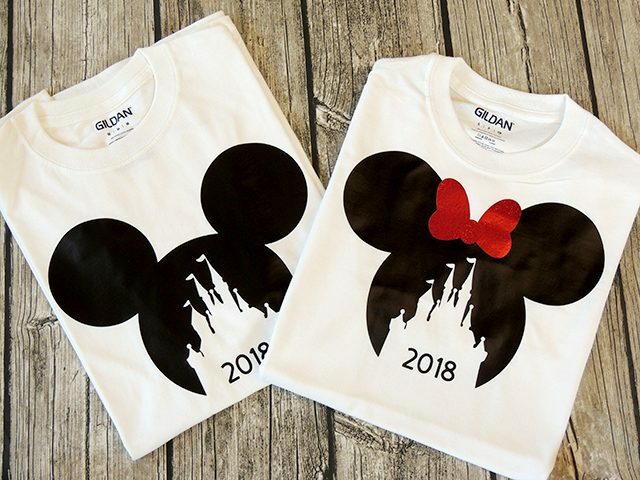 I guess I don’t understand how you are able to create shirts using Disney-related designs? I love all your shirts, but isn’t it trademark infringement? Or maybe you have special permission. Not trying to be a troll, but as an embroiderer and a heat press business operator, I have always been told I can’t do anything related to Disney. thanks! I didn’t worry about it too much since I was just making some for a friend – I probably wouldn’t try putting them in an Etsy shop or anything. Thanks for the reply. I guess I have always been afraid of using copyrighted material in any way, even for personal use. 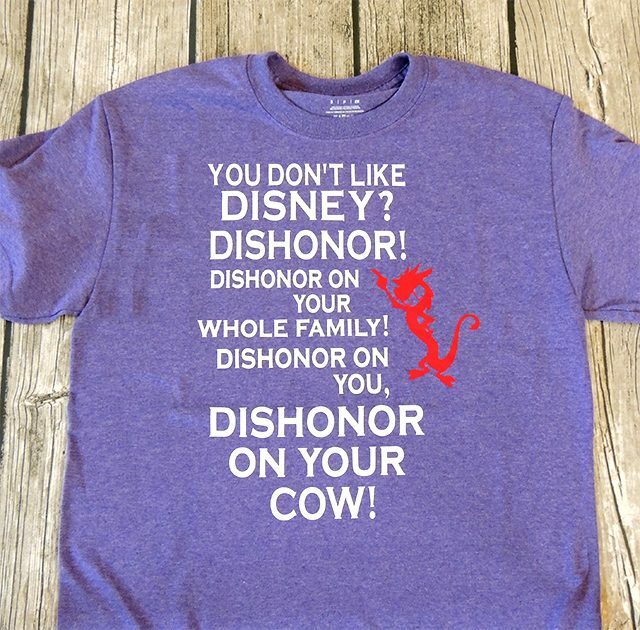 I don’t know how all the Etsy sellers get away with actually selling Disney designs!